It says in Bryan Carrigan's one paragraph bio that he is a producer, song writer, synthesist and sound designer. Well, I know he is a talented producer as he has just contributed to Jeff Oster's latest release and I can hear from his new album Focus, that he is a synthesist, but sound designer? Now I can definitely agree to that. He has also contributed to a plethora of film soundtracks and TV recordings. His new ambient album contains ten tracks of beat driven, complex and vivid electronics. And to his credit, the audio on Focus is outstanding. Circle of Sound is a bright, animated tune and a wonderful beginning to a series of elaborate audio vignettes. Carrigan's themes change from one song to the next, but he manages to bring most aspects of daily life, whether busy, energetic or pensive into the mix. There is nothing sedate about Bryan Carrigan's music. Circle of Sound is like an aural group hug. There are smiles, warmth and expectations in the notes. Cricket Crossing is a tune that has stealth capabilities. Its starts out rather innocuous, but suddenly I was drawn up into the beat and the melody just grabbed me and away I went. There are no insects in the tune, just a jaunty beat that gets you to follow it wherever it goes, and it marches forward. There is more than the obvious in the song called Tzatziki. The middle Eastern tinged composition has a bit of chant in the background, a driving piano lead and a terrific sense of discovery. Tzatziki is not just an accompaniment, it is a spicy sauce to garnish my adventure. Awakening, was a favorite, but it was too short. I just got into the tempo and was pacing myself when the tune ended. I had to start again. This I not just an open up your sleepy eyes and get started song, it is a call to join in the day and expect the unexpected. In our lackadaisical world, it is a message that bears repeating, so hit replay. In Summit, the final song, I reached the apex of the journey of the ten tantalizing tracks. Many times in my life when I achieved a goal there was the hurrah and then the short-lived celebration. With Bryan's delightful tune I wondered what was next with great anticipation. 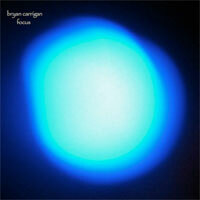 Bryan Carrigan is on my short list of talented ambient musicians that are revitalizing electronic music. It's not just samples on a garage computer and then filter them through the Korg and then onto a disc. Carrigan's music is warm, intricate and above all else, refreshing. His glimpses into daily life via colorful music is stimulating and encouraging. Carrigan is a sound design of high fashion audio. Highly recommended.